Sometimes living in Boston on your own can start to feel a little too costly. Fear not, because it doesn’t have to. We all get urges to spend, take a break from the dining hall or venture out into the city, but all of these things don’t have to be expensive if you follow some of these tricks in this guide that I learned throughout my first year at Boston University. Spending habits definitely change once you get to college and you’re on your own, but it doesn’t mean you can’t still enjoy fun shopping trips every once in a while. 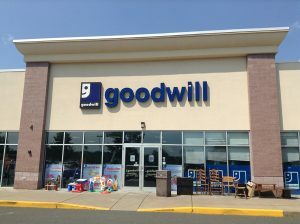 An inexpensive way to have a fun time and get some cool new clothes is to head down to Goodwill and look around. Not only do you get to shop a little, but sorting through all the clothes will also give you some great free entertainment. Eating out adds up a lot, but sometimes you just don’t want to eat in the dining hall anymore. To save money, go with a couple people and split some appetizers for dinner. Not only do you get to sit in a restaurant, but you don’t have to spend too much. Another great option is heading to Trader Joe’s and getting some fun snacks that will fill you. They taste great and offer a few days of food to satisfy your cravings. The T not only adds up after a few rides, but it can also be slow, cramped and smell a little funky. While it may be chilly out, going for a walk to your destination offers fresh air, a fun adventure and free transportation. Grab a friend and go run some errands together, or maybe take a trip to a new part of Boston together. The MFA is free for BU students. Take advantage by heading down there. It’s a great walk, and you get to check out some art. The MFA has exhibits that range from ancient Egypt to modern art. Use some of your free time on the weekends for a free art experience. BU students get free admission to sporting events with their Sports Pass. Find out what teams are playing, grab some friends and go support BU sports. You can also head down to a club sporting event to cheer on your favorite team. Toothpaste and other necessities are expenses we all have to get used to paying, but maybe not just yet. The Buick Street Market allows you to use your dining points to buy basic necessities. Not only that, but there’s even a variety of brands to choose from for your toothpaste, razor or any other needs. If you have a dining plan, take advantage.